We know that a first visit to our chiropractors can be confusing. To make your first visit as informative and helpful as possible, our chiropractors have rounded up information on what to expect when beginning treatment with us, including payment options and insurance information. We encourage you to review this information before your first visit to our wellness center. With all of our treatments, you can expect to receive high-quality care, personalized attention, and best of all prompt care. We do not like to keep our patients waiting! Review what you can expect with the treatment methods we offer at our wellness center to be prepared for your appointment. Our chiropractors use many different methods of adjustments to restore wellness and promote injury recovery. 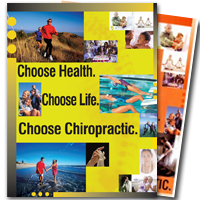 Chiropractic methods we offer include manual adjustment, Diversified, Thompson (Drop Table), adjuster and Webster Technique. Diversified is a common style of chiropractic that uses manual and instrument-aided adjustment to realign the spine. Adjuster technique uses a small device to deliver precise adjustments in areas that are difficult to reach with precision manually. Manual adjustment uses our hands to reposition the body. Thompson or drop table uses a special table that allows us to position the body so that gravity aids in the adjustment. This can bring about faster healing from injuries. Webster is a prenatal style of care that positions the pelvis for a healthy delivery while relieving back pain. If you've ever enjoyed a massage, you know what to expect from massage therapy. Massage therapy styles we incorporate include deep tissue, trigger point, sports massage, and Swedish massage. We'll take a health history and explore symptoms first. Our massage therapist accepts feedback from you to moderate the pressure of the massage. Laser therapy and ultrasound are easy and effective ways to heal soft tissue injuries and speed up recovery after accidents. Ultrasound and laser therapy (also known as cold laser therapy or Erchonia laser therapy) are simple and highly effective. Just relax in our clinic while we aim a low level laser or ultrasound device at your skin. Our chiropractic clinic accepts many health insurance plans, but we know insurance programs vary on what they cover. To ensure your plan will pay for scheduled care, we are happy to check with your insurer in advance. If your insurance does not cover your care, rest assured that we have affordable payment options. Many of our patients like to pay out of pocket for our care, because they know preventative care is a more cost-effective option than paying for care once they fall ill. If your insurance covers chiropractic, you pay only the deductible, co-pay and any treatments that aren't covered. If your insurance doesn't cover care, you are expected to pay at the time services are rendered or arrange for a payment plan. We are happy to discuss our care plans with you when you come to our clinic. APEX Wellness Center serves patients from the surrounding communities of Dallas, Addison, Carrollton, and Richardson, TX. To schedule an appointment for any of our services, or talk with us about anything, please call us at 972-392-9402.